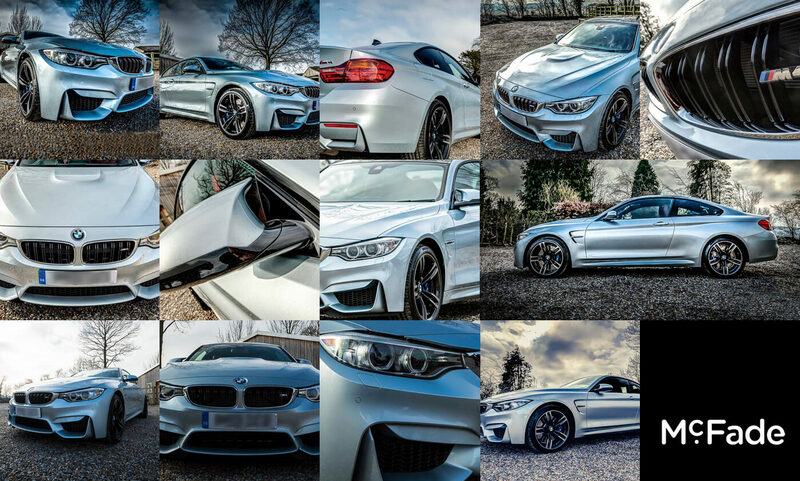 A short time ago photographer Adrian Wilson (known by all as Ade McFade) posted a great series of images taken of a BMW M4. The car was the new pride-and-joy of a mutual business associate and like me, Ade couldn’t resist having a play with it. 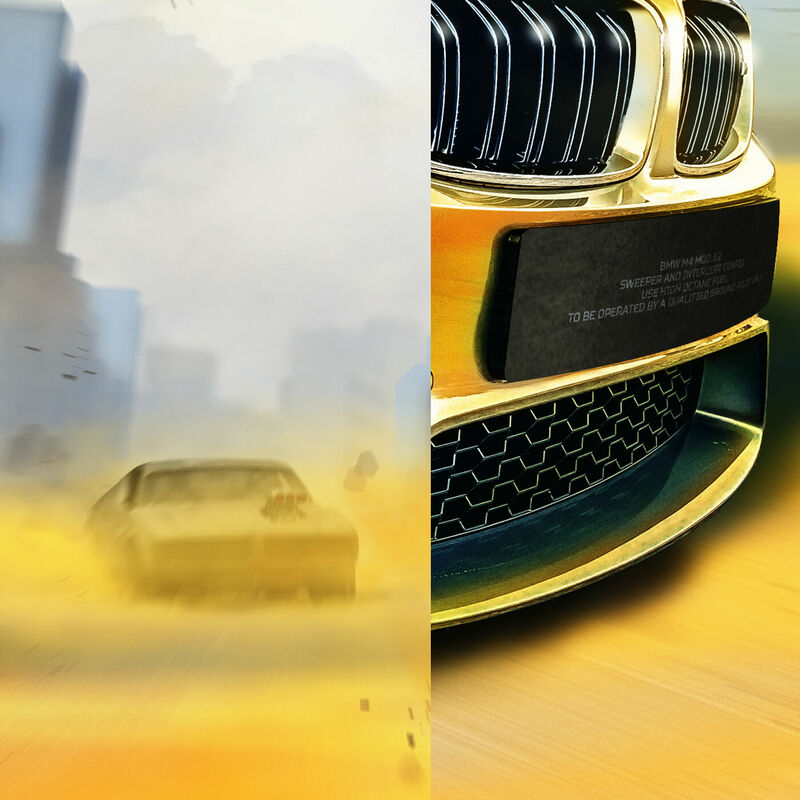 Some of the dramatic low angled shots put me in mind of a speeding car, perhaps in some kind of chase. I loved what I saw and having nothing more urgent in front of me to do I decided to make what I was seeing. Asking Ade’s permission to use the posted image, I set to work. Ade is always up for some creative collaboration and his shots are always worth a look, you can follow him here. There is plenty that could have been done to make this a full illustration, such as inserting the original high-res shot, rather than a compressed facebook image. But concept pieces like this are still good for telling a story. When sharing the resulting artwork people could understand better what our services can achieve. 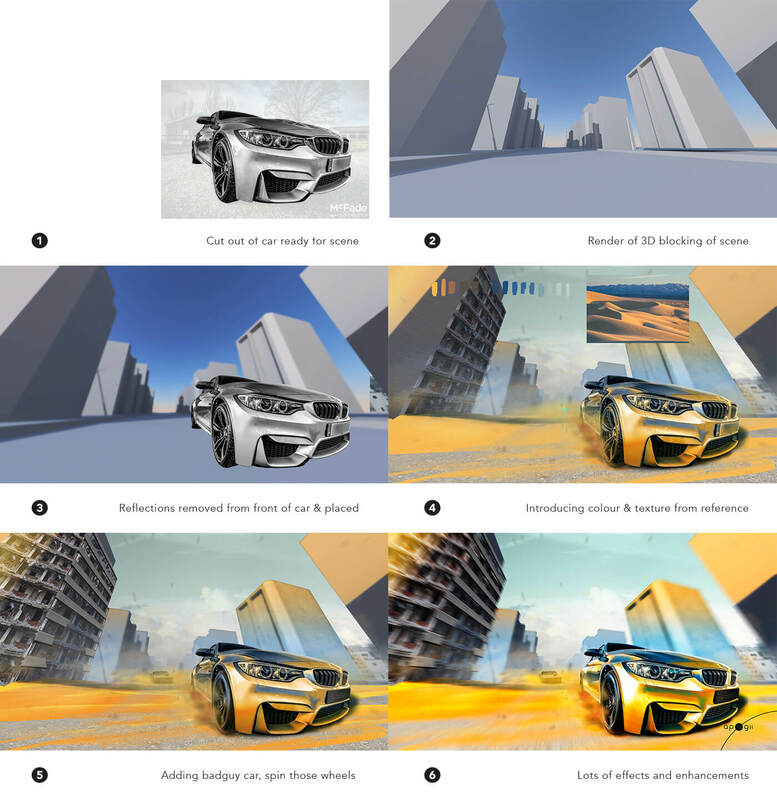 The image demonstrates concept art – telling part of a story with an image to get across an idea. 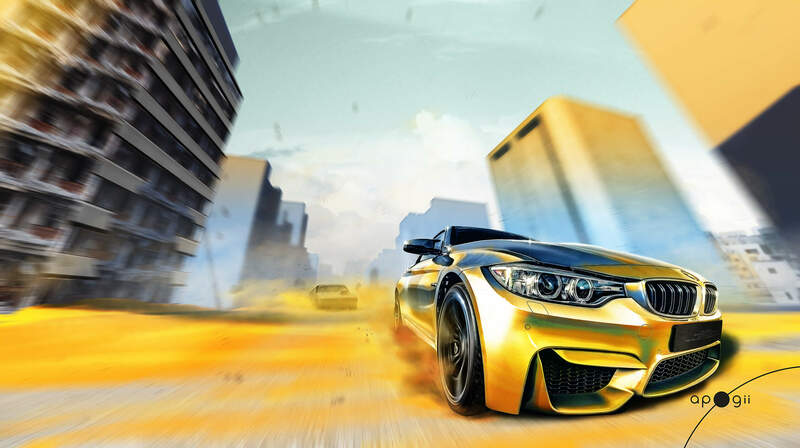 Also demonstrated is product placement artwork – putting objects (such as a car) into unreal scenes to emotionally engage the viewer with ideas about that product or service. What was meant to be a bit of fun in some (rare) free time has turned into a useful tool. This teaches me at least to keep “playing”, experimenting and talking about what we do. Keep playing, working or whatever you want to call it.